The Honest Kitchen did it again. 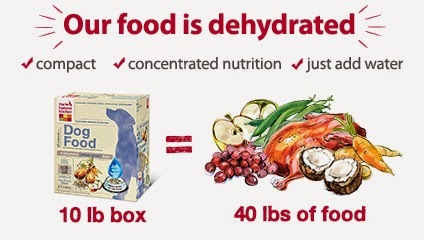 Delicious dehydrated human-grade food that drive Ruckus crazy. Disclaimer: We received no payment or compensation for this post and/or giveaway. The products above were provided complimentary to me. This post may contain affiliated links. See full disclosure here. He looks so happy with his food! Mmm. Chicken. This looks goooooood. Taking the best care of our pets is really important. This seems like a good way to go. My girls do love chicken! I can see how much Ruckus likes this food, he's grinning from ear to ear!